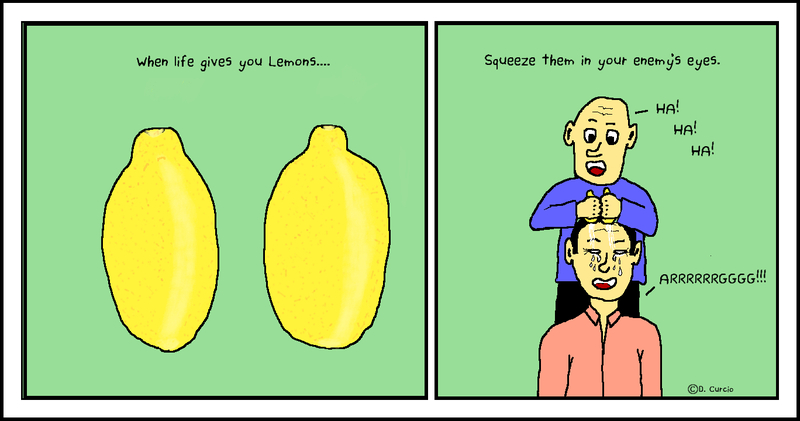 - When Life Gives You Lemons.. I feel that lemonade is overrated as a use for lemons. Crushing your enemies with lemon juice is a much better use, or making lemon-cello at least that gets you drunk.